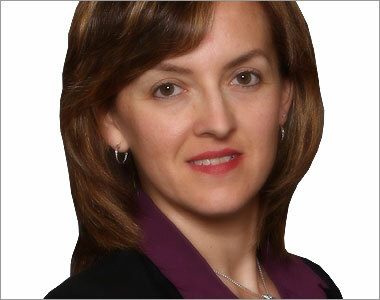 Dr Miranda, ND is one of Durham’s leading Naturopathic Doctors and founder of Miranda Naturopathic Clinic. She received her medical training and Doctorate in Naturopathic Medicine in the year 2000 from the Canadian College of Naturopathic Medicine. Her passion for promoting wellness and integrative medicine inspires her patients to make positive changes in their lifestyles and nutrition to achieve optimal health. Dr Miranda, ND provides a thorough approach to her evaluation and her treatment plans are very personalized. She enjoys working with families and being an essential part of their team of health care providers. Dr Miranda, ND has a special interest and experience in treating hormonal imbalances, thyroid deficiencies, weight loss, detoxification, fatigue and stress management, digestive complaints, and pain management. In addition, she regularly contributes to Rogers TV as a natural health care expert. She strives to create a professional, safe and nurturing environment at the clinic where practitioners and therapists can work together to find answers to their health concerns. FirstLine Therapy Provider (2011) providing an exceptional method of improving body composition, reducing inflammation and decreasing risks for degenerative and chronic disease. Mesotherapy/Lipolysis (2009) from Global Health Network Lipolysis (Bochum, Germany). Bowen Therapeutic Technique (2007) from BowTech Institute. Parenteral Therapy, BDDT-N (2003) to offer intravenous and intramuscular vitamin injections. Is Organic actually better for you?